This year’s Royal Association of British Dairy Farmers' Gold Cup Open Day is set to see record breaking crowds flock to North Yorkshire’s Metcalfe Farms. 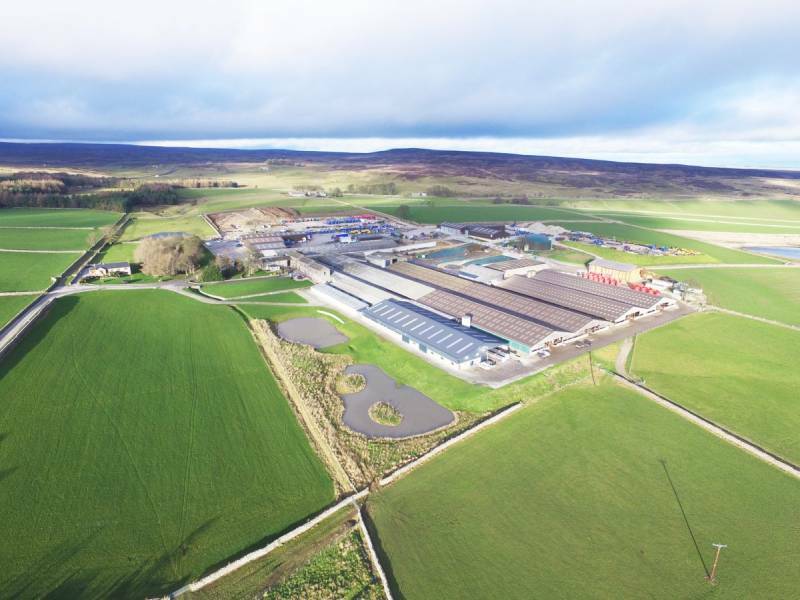 The event in June is hosted by dairy business Metcalfe Farms, located at Washfold Farm in Leyburn, and is hosted by brothers Philip, David and Brian Metcalfe. In part this is down to the profile and success of the overall business, and there is no doubt that the impressive 1,300 pedigree Holstein herd and dynamic line up of speakers are also set to be a huge draw. Talks will reveal how Philip and his 35-strong dairy team have developed the business to become one of the top performing herds in the country and the key factors they consider as the driving forces behind this progression. A combined talk on feeding and nutrition will be presented collaboratively by KW Alternative Feeds, Premier Nutrition and consultancy company Rumenation. They will look at the feeding practices undertaken at Washfold explaining how the correct diet and rations contribute to overall milk yield. Further sessions delivered by Trouw Nutrition and Bishopton Vets will look at the role of early life nutrition and the wins, losses and draws when in comes to herd health on the farm. The farm’s new calving pens will also be showcased; highlighting how an all-in/all-out system is now being operated to assist cleaning and disinfecting between each batch of calves. Key enterprises, such as the anaerobic digester, calving and youngstock, feeding robots and recycled manures solid bedding plant will be labelled as “interactive” stations and will be manned by their respective managers and industry suppliers to answer incoming queries. There will be additional “points of interest” sited around the farm that will be accompanied by information boards outlining key facts. There will be a further talk on the AHDB stand at 12.30 from Dr Jim Reynolds, a professor in large animal medicine and welfare at Western University in the USA; best known in the industry for his work in farm animal welfare, calf management, production livestock medicine, mastitis control and sustainable agriculture. Richard Miller, genomics business manager at NMR will also be conducting two sessions on genomic testing and the benefits it can bring – these will take place on their stand.